With all of the advances we see around us in technology, and seeing all of the capabilities students now have at their fingertips, it's important to note that some of that innovation has been directed toward addressing students with special needs. Assistive technology includes anything that allows a student with a disability to increase, maintain, or improve their functional capabilities. They can range from the low-tech to the high-tech. Even the basic functionality of an eBook with a read aloud option, highlighting, and increasing text size can make a world of difference to the disabled. When addressing the needs of students with special needs, it is important to focus on the child first, and then the technology that will best serve their needs. Twelve percent of K-12 students have a disability, and some students with disabilities may be eligible for special education services. If a student’s school determines a need for assistive technology, the device or program will likely be provided at no cost as part of the student’s Individualized Education Program (IEP) or 504 plan. The Universal Design for Learning (UDL) is a framework to improve and optimize teaching and learning for all people, based on scientific insights into how humans learn. The goal is to engage all learners, regardless of learning level with the use of multiple means of representation, expression, and action, as well as means of engagement in the classroom. Educational technology purveyors that abide by this framework have created many tools and resources featured at the National Center on Universal Design for Learning that aim to help all learners. Well-known tech tools such as the iPad and Chromebook have special settings that help visually or hearing impaired users. Look into enabling the Speak Selection on the iPad, and the Chrome Speak App for use with Chromebooks or a Chrome browser. For a comprehensive list of screen reader software and programs, check out this article from Teaching Students with Visual Impairments. When researching the right technology for your students, you should discuss options with parents and investigate resources listed in the Special Needs Guide to Apps, by Common Sense Media. It includes instructions on how to access the assistive features on your smartphone or tablet, and provides an organized overview of special needs, by type and degree, as well as the apps that match those needs. Teachers and administrators can use Tech-Matrix to find the right assistive technology choices based on subjects, age, and disability. It has a huge database of 400 products with searches based on unique parameters. Additionally, they have a handy Consumer Guide that is a good jumping-off point to address common concerns when selecting the right technology. Another great resource for finding technology to help students cope with disabilities in both school and everyday life is the National Public Website on Assistive Technology. eSight electronic glasses were recently released and allow the blind to “see.” Visually impaired students usually use a combination of braille, audio books, and talking calculators as assistive devices in the classroom, and eSight is hoping to add their revolutionary glasses to that list of go-to solutions. Their electronic glasses let the legally blind actually see, without the need for any surgery. 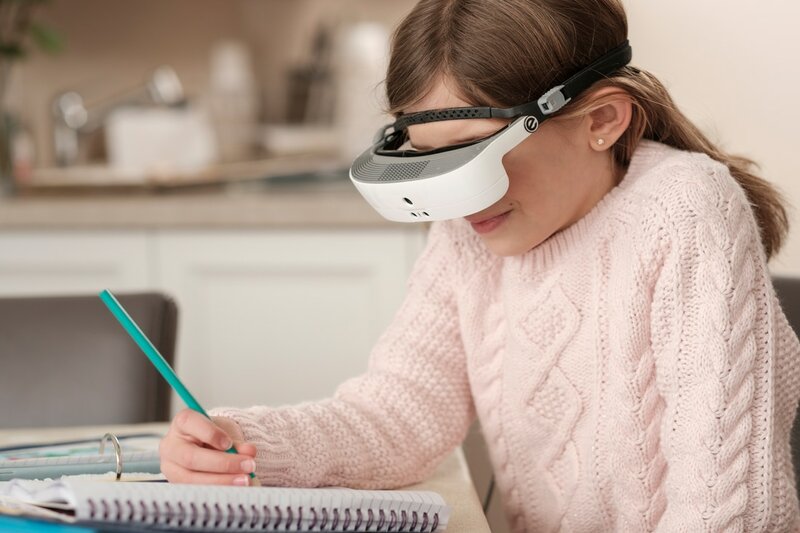 The glasses contain a high-speed, high-definition camera that captures everything the user is looking at, and then algorithms enhance the video feed and display it on two OLED screens in front of the user's eyes, in a format that is palatable for the blind eye. This could obviously revolutionize the classroom experience for visually impaired students, who could view the board from any seat in the classroom or lecture hall, easily read from books, tablets, and computers, move independently between classes, and participate in on and off campus events. Microsoft unveiled new accessibility features for OneNote - a digital note-taking application. In their recent update announced in May of 2017, they enhanced features that aid in accessibility, have simplified the navigation controls, and created more consistency between devices. In this update, they focused on making OneNote more usable for those with disabilities—such as vision and mobility impairments. They interviewed hundreds of people and analyzed product telemetry to understand how to improve keyboard shortcuts and the screen reader experience. Livescribe’s Smartpen works like a normal pen, including writing words, scribbles, and diagrams, and then syncs everything you write to what is being said aloud, from a teacher or professor for instance. When you tap the tip of the smartpen anywhere on your notes, it will play back what was said at that exact moment in time. This helps learners with comprehension issues, as they are able to review and reflect upon their notes, giving their memory a helping hand. 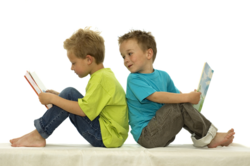 Bookshare offers the world’s largest collection of accessible titles. People of all ages, as well as schools and many organizations around the globe can access the books they want to read in formats that work for them. The platform lets readers listen to books with high-quality text-to-speech voices, hear and see highlighted words on the screen, and read with refreshable braille or enlarged fonts. ActiveWords turns words into commands on users’ computers. In Microsoft Word, for example, a specified “active word” can populate formatted text into a new document. ActiveWords can open files and folders, webpages, and applications, and handle most tasks a person may need to perform on the computer. If you have multiple devices, you don’t have to start over establishing commands with each device either, as ActiveWords Sync allows users to use most cloud services like OneDrive, Dropbox, and Google Drive to automatically sync data between their devices. This is useful to students with developmental disabilities as it will significantly save time.